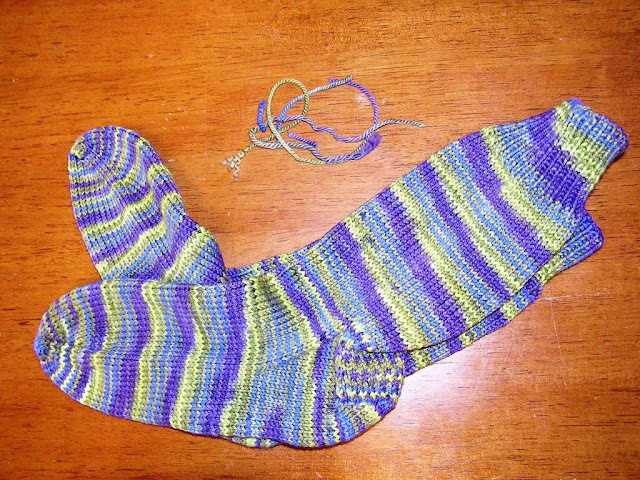 Did you know that up until I finished these socks, I had never knit a plain stockinette sock before? 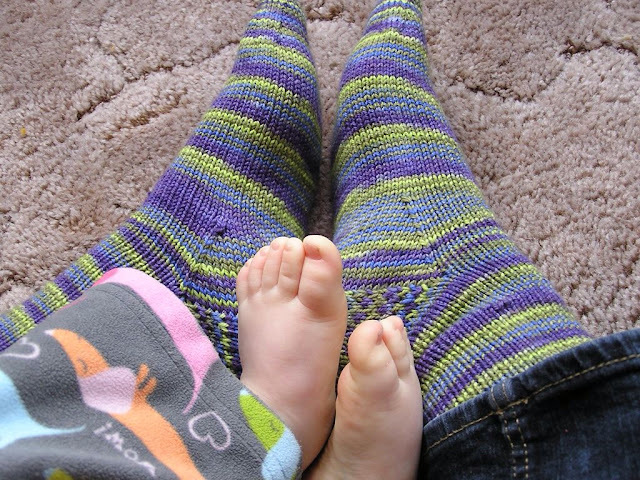 I like a challenge when I knit, but with these I wanted a simple project that could live in my purse. I made up the pattern as I went along, but really it's just a stockinette cuff down sock (I'll publish it as a free pattern once I tweak it a bit and maybe add a bit of a design or something so they're not just another vanilla sock - blog readers will be the first to know I promise ;). The yarn was Nestucca Bay Yarns Frothy, a sport weight superwash Merino. 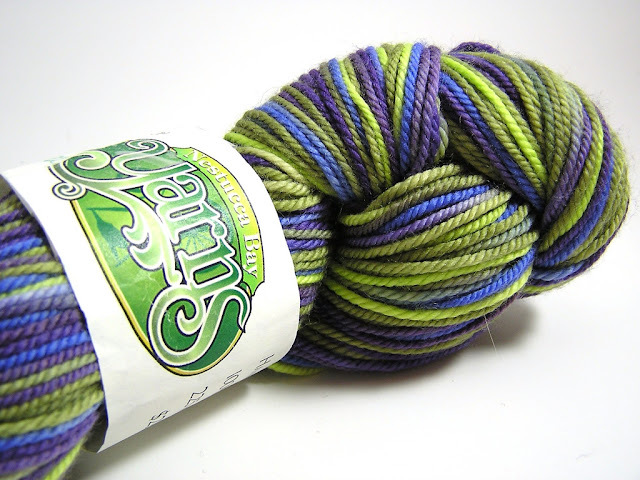 The colourway, Aurora, pooled into delicious purple and lime stripes. 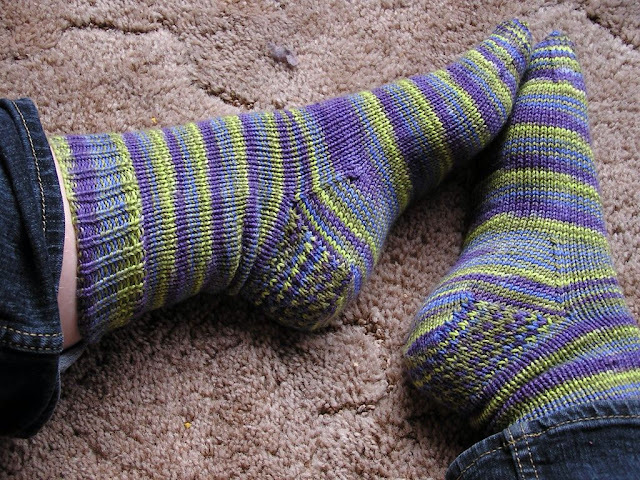 I love the way these socks look! Rei is hard to keep out of pictures these days - there's almost always some little bit of her sneaking in. Little feet are so cute though. I came so shockingly close to running out of yarn on these - see that little pile of ends below? That's all I had left. Very close I tell you.